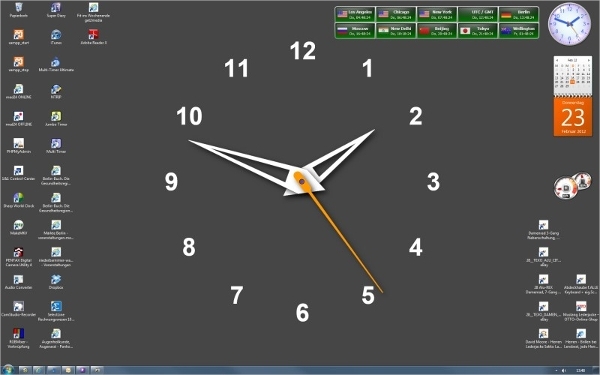 A digital world clock software is handy when you have to check out the time zone in countries across the world. But how do you know know which one is the best? There are several such software applications around and when it comes to spotting the best digital world clock software, we are here to help you. 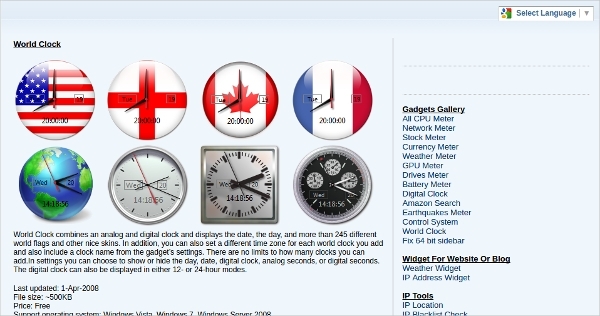 The article below offers a brief on some of the best names among digital world clock software applications. All the applications discussed below are simple to operate. TimeLeft is a widely recommended free digital world clock software in which you can check out the time of any country across the globe and whenever you wish to. You simply need to setup the clock & define your desired time zone and it will display the corresponded time. 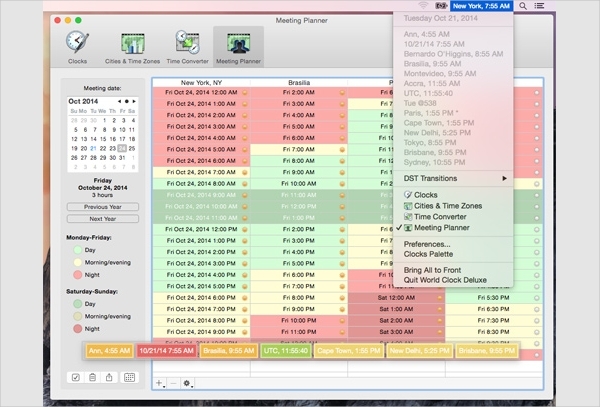 The user with this application can go for any time or day format. 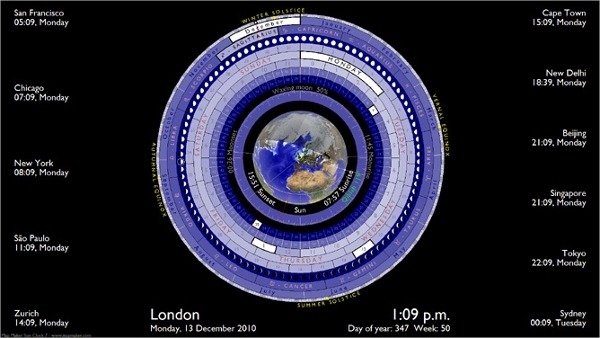 The Wim’s World Clock is equipped to show time zones of several countries across the world. It can synchronize time with the atomic clock as well. 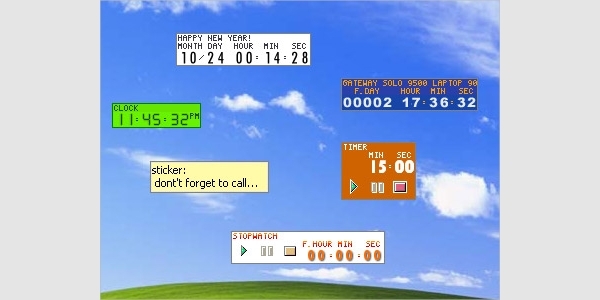 The another other great feature of this software application is that it comes packed with goodies such as Julian Date, Swatch Internet Time & StarDate. It’s a free program. 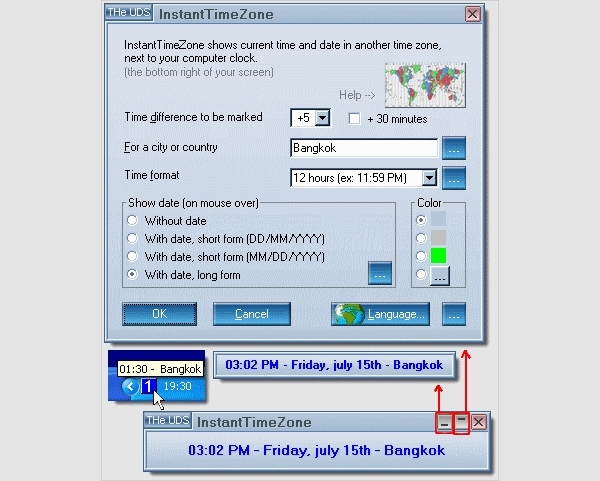 This free software enables you to view the world-time list by city and you can also have a map on world time-zone. It is available in a wide number of languages and the software can be used as Atomic Alarm Clock as well. The software is meant for Windows desktops and supports all popular versions. This is a user-friendly software application for digital world clock that can be used as digital as well as analog clocks for desktop and mobile users. The user can select any timezone of whichever country he wants to know and the included “Daylight Map” will tell him where it’s day or night across the globe. 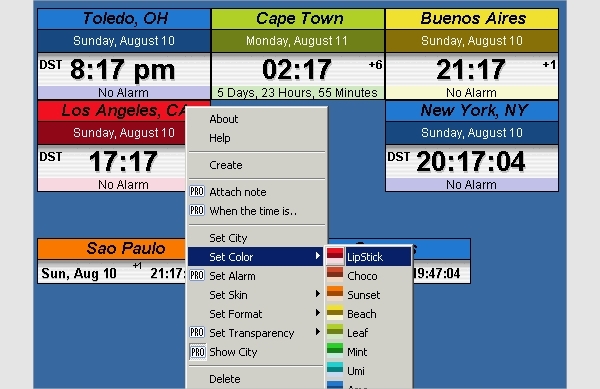 If you are looking for an elegant world clock software application for your Windows PC, Crave World Clock would be a great option for you. It will enable you to keep tap on current time of all the time zones & cities. 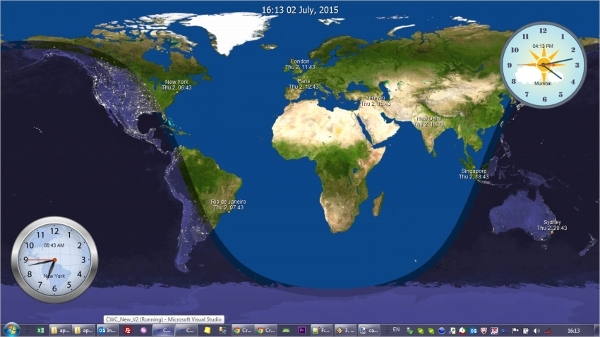 The application comes with a world map with day & night effects. Sharp World Clock promises a sophisticated world clock for desktops. It’s a time clock, time-zone converter and alarm clock in one. You will be glad to know that this cutting edge feature-packed clock software assures accurate timing always, courtesy advanced programming technology by Microsoft. It comes with as many as 8 clocks & you can even add more. You are getting a free digital & analog clock application with important features such as current date, chimes, countdown, timer, stopwatch, uptime, Atomic clock, world clock & skins. With gold hands, Vista Clock is about the royal aura that it carries. It also supports all versions of the windows. The software is really small in size & would stay is your desktop’s sys-tray. This is to mention here that there are different digital world clock software applications for various platforms. The one you will choose would depend on your system’s operating system as there are some software that specifically work for Windows, Android and Mac. However, some of them can work for all the systems. There is a good list of free Windows Digital World Clock software applications and here is a brief on some of the best credible names from the group. 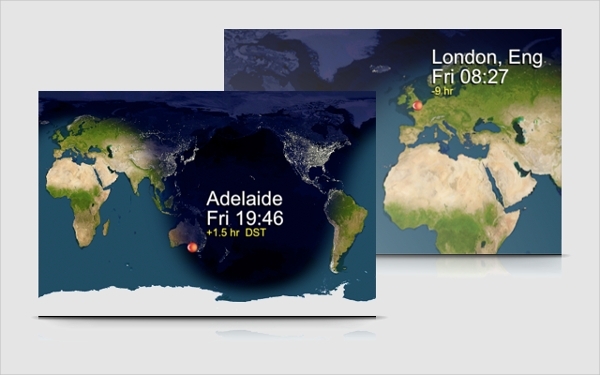 If you are looking for free Mac digital world clock software, World Clock Deluxe would be a good one for you. It comes with several clocks which are easily configurable and the software is able to show time in more than 1,600 cities as well as 200 time-zones & world times. If you are looking for the most popular digital world clock software for 2016, CLOX would be the name for you. This state of the art software shows local current time of various time zones across the world and also incorporates “Daylight Map” . The software further assures amazing customization, in-built news feature & frequently updated data about clock changes & timezones worldwide. What is Digital World Clock Software? 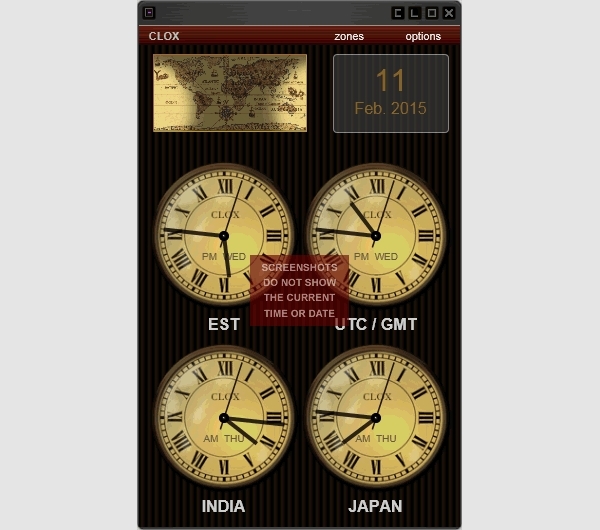 A digital world clock software is a handy tool for any desktop, tablet or mobile phone. 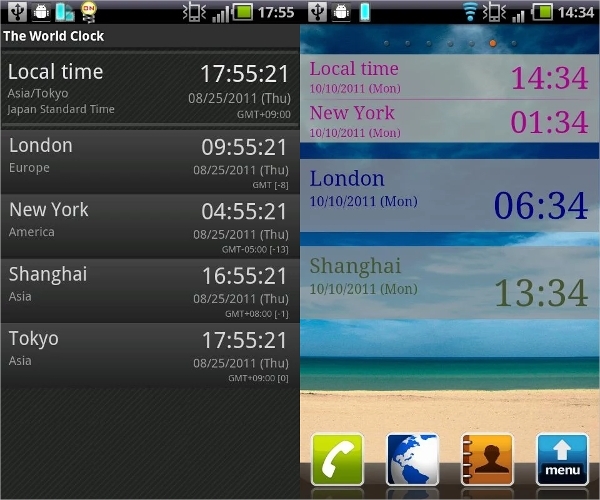 The prime feature of such a software is to show you the current time across various countries and hence the name “world clock”. 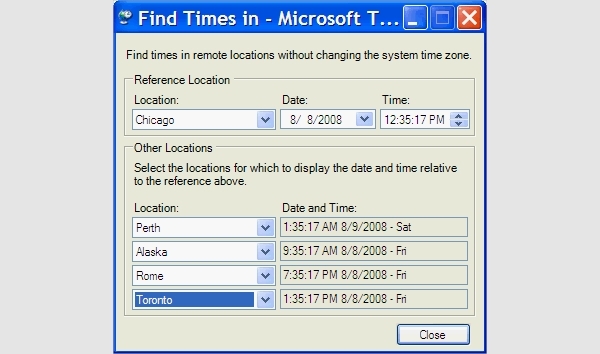 You only need to specify the name of the city or country whose time you wish to know and the clock software would instantly show you the local time of the designated region. Some of these software applications come with 5 clocks while the more advanced ones are equipped with 10+ clocks. They are easy to operate. To install digital world clock software, you would simply have to follow the download link of the software on its official website. As some of these applications come in multiple languages, you can specify your preferred language as well. Then, you have to agree with the Terms & Conditions of the download and you will find a complete guide on how to install the software into the website. One of the main benefits of digital world clock software is that it allows you to keep track of the time zones in several countries around the world and that too from the comfort of your home. If you have a family member or friend staying abroad and you have to coordinate with him or her, you would always need to check out the current time of the foreign city. The problem which is hence solved by these digital world clock software applications. Such software programs would also be handy if you have clients overseas and you have to contact or work as per their time zone or vice versa. A digital world clock software would enable you to stay updated about multiple time zones all around the world instantly and easily. These are simple to operate and can be easily installed and anybody with a basic computing knowledge can work with them. Some of them will also function as alarm clock and countdown timer.